You'll be able to tell an Amazon Echo device which radio station to play, when the device goes on sale in the UK. Radioplayer has been working with Amazon on a voice-powered ‘skill’ for the Amazon Echo. 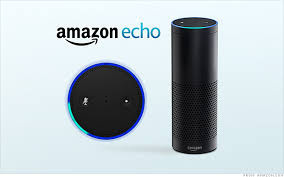 Radioplayer is one of the official ‘skills’ in the Echo, which is powered by Alexa (a personal voice assistant) and will be available to UK customers at the launch of the devices later this week. Echo users will be able to ask Radioplayer to play one of 450+ UK radio stations, or to recommend stations based on where you are, what’s trending right now, and what else you’ve listened to. The work with Amazon is the latest development from Radioplayer, a non-profit organisation at the forefront of audio innovation, backed by the BBC and commercial radio. Radioplayer has developed the world’s most powerful browser-players for radio, plus apps to encourage radio discovery and cutting-edge hybrid radio hardware for cars. Increasingly, Radioplayer is acting as a ‘Research and Development’ hub for the international radio industry and there are now licensed Radioplayer partnerships in six countries. “We’ve been prototyping voice-controlled interfaces, but the Echo is by far the most capable device we’ve seen” says Michael Hill, Radioplayer’s Managing Director. “Voice interfaces will play a huge part in car dashboards and home automation devices, and they can help people with impaired vision and mobility too. Working with the brilliant people at Amazon has helped us put UK Radio at the forefront of voice-powered technology”. For the Alexa ‘skill’, Radioplayer compiled a unique phonetic database of radio station names, ensuring Alexa recognises and pronounces them correctly. Future developments of the Radioplayer Alexa ‘skill’ could include the ability for a listener to set their favourite stations, ask what track’s playing right now, access ondemand programmes and podcasts and set reminders for their favourite shows.